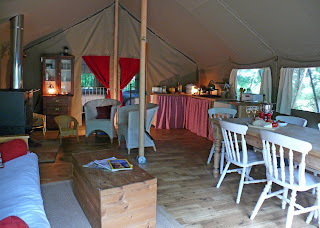 The Wood Life offers a wonderful glamping experience close to Exeter in Devon. Choose from either a large safari tent, sleeping six, set in its own private woodland, or a romantic shepherds hut for two in its own orchard. The Woodland Camp with safari tent is designed to offer plenty of space and is perfect for families with young children who want to explore a wild woodland. 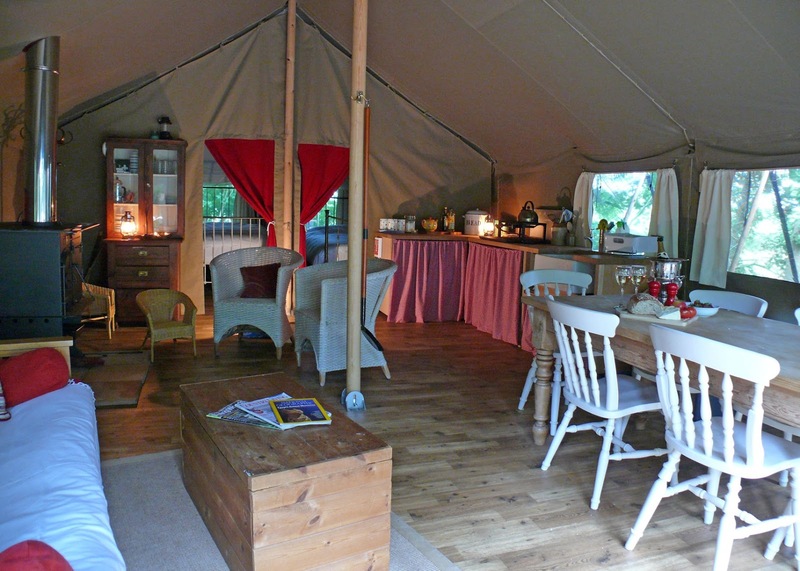 The large, well equipped tent has two bedrooms, one double and one twin, as well as a sofa bed. There is a well equipped kitchen, indoor and outdoor dining tables and seating area & a cosy wood burner. The tent comes with pots, pans, a BBQ grill, cooking utensils, bedding, towels, torches etc. In fact all you need to bring is your clothes and a bit of food! 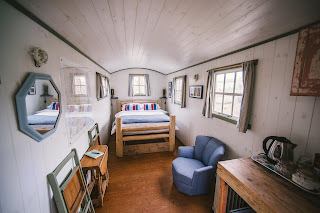 The Orchard Wagon is set in an old orchard and comprises of a shepherd's hut and a fabulous bathing wagon. A wood burning stove provides hot water for the bath. Lighting is on the mains and there is a fridge and radiator in the shepherd's hut. Cooking is over an open fire or on gas hobs, with Dutch oven and barbeque grill provided. The site has uninterrupted countryside views. The Wood Life is located just five miles from the beach at Dawlish in one direction, and Dartmoor National Park in the other. It's ideally located for a range of activities including walking, cycling, golf, horse riding, fishing and much more.